Recently, various pro-Brexit voices have been claiming that the Good Friday Agreement is dead. There is certainly a big danger of it being a casualty of Brexit, but it is certainly not something to be sacrificed. Instead, it’s worth thinking about why it is under strain — in order to save it. 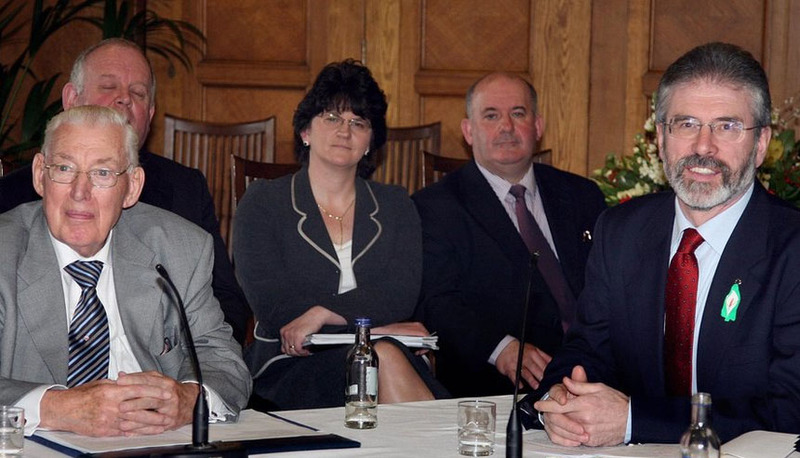 The Good Friday Agreement, signed on 10 April 1998, was a remarkable achievement. After an extended peace process, which had built up sufficient trust to make a breakthrough possible, it finally brought a way to share power between Protestants and Catholics in Northern Ireland, ending decades of armed conflict. The problem was, and is, that there is legitimacy in the claims and the stories on both sides. Finding a route to the point when both communities can co-exist peacefully is the sanest way to peace. My reading of the story is that the fundamental change that made this possible was that the UK and Eire had both been in the EU for long enough for people to get used to it. It is possible for communities to co-exist on a day-to-day basis, but the fundamental question which is hard to fudge is “on which side will you be if there is a war?” In other words, “Will you fight for Dublin or for London?”. Peace is possible when there has been enough peace and stability for long enough to mean that question is not at the back of people’s minds. Within the framework of EU membership, the Good Friday agreement provided enough cross-border co-operation to work for the Catholics, and enough linkage to London to work for the Protestants. Though people didn’t use the term, it is a good federal solution, which enables people to co-exist without their differences pulling them apart. At the moment the Brexit debate is clustering around membership of the Customs Union. If the UK and EU are not in a Customs Union, that means some sort of border with customs posts and action to stop smuggling on the Irish border. That’s unworkable in practice, and would highlight to Catholics a border that they find offensive. The other solution that has been touted is for the North to remain in the Customs Union, and customs posts at points of entry to the mainland. That separates the North from the rest of the UK in a way that Protestants would find just as offensive. It seems the Brexiteers are attacking the Good Friday agreement on two fronts. One is that it embeds a co-operation which is hard to reconcile with Brexit. The other is that there has been a struggle to form a government in Northern Ireland. The first of these is pure ideology: it treats the agreement as bad because it stands in the way of Brexit, as though Brexit must be achieved, whatever the cost. By an interesting coincidence, Jacob Rees-Mogg has recently written something arguing that the UK will leave the EU intact. At the best of times, that would be wishful thinking. But it tramples on the sensibilities of Irish Catholics in a way that would breathe life into the IRA. The struggle to form a government is a symptom of where we now are rather than a reason to abandon the Good Friday Agreement. The Brexit process is already pulling at the fabric of Northern Ireland. At a recent street stall in Ware, it was people with Irish accents who were particularly vocal in support of EU membership: they remember The Troubles, and fear their return. The point is that, when trust has been damaged, it is harder for people to work together. The Brexit process has already done significant damage. The UK overall voted differently from Northern Ireland, which challenges people’s sense of belonging. Theresa May’s decision to enter a pact with the Democratic Unionist Party leaves Catholics feeling excluded. It is almost inevitable that we have ended up with the DUP and Sinn Fein as the two major parties in the Northern Ireland Assembly, and that they should find it harder to co-operate than the once did. Where this lands is either the need to cancel Brexit, or to pull off a major miracle to enable trust to be rebuilt despite what is going on. Only the first of these is credible, and the chances of the second are greatly undermined by people claiming that the agreement is already dead. My fear now is that cavalier comments from Brexit supporters will collide with Northern Irish reality in a particularly destructive way. Next Next post: Was Corbyn right to sack Owen Smith, after he advocated a referendum on the final terms of a Brexit deal?